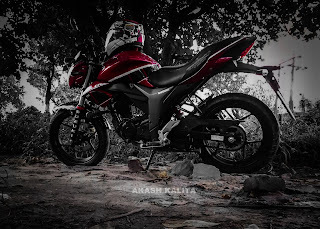 Looks is a subjective matter, but the sporty aesthetics of the Gixxer does manage to attracts many. And since you are reading this article, you might be one of them as well, like me. Which brings us to our first topic of discussion, i.e. the 'Looks'. Gixxer is a compact motorcycle and apart from the faring, every thing else is same on both the fared and the naked versions of the Gixxer. It doesn't look bulky and nothing on this motorcycle looks out of proportion. But, in my opinion the headlight and taillight could have been given a sportier appearance but, does not look bad either. The tires are also fat enough so, the bike does not look like it skipped 'leg day' in the gym. Instrument cluster too is fully loaded and looks sporty. But, the seat could have been given a split seat arrangement to give it a more sportier look. And the dual port exhaust not only looks good, but also sounds great too. 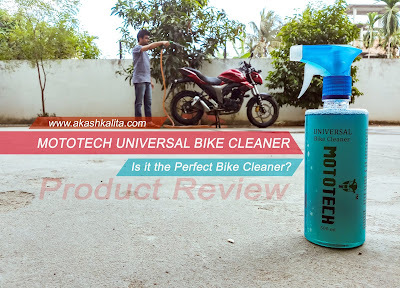 The overall built quality of the bike is very good and no components look flimsy. Also, no parts tend to vibrate or rattle, accept for little vibrations that could be observed on the rear view mirrors at high speed. The paint quality too is very good and is retaining the same gloss finish look without polishing, even after two years. 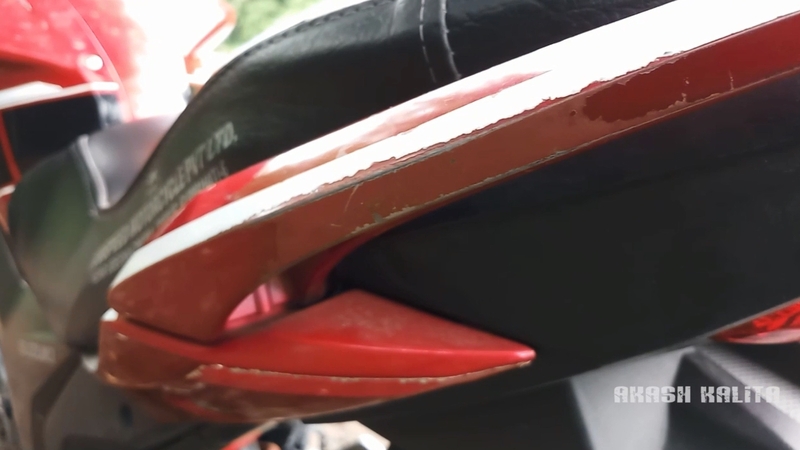 But, the paint quality could have been definitely better in certain places like the grab rails and the region around it because the paint on the grab rails started to chip off or fade just after few months of buying the motorcycle. The plastic switches could have been better too, because they do not feel very premium and have started to become hard to use after around two years, specially the headlight 'on' 'off' switch. But, considering the fact that new motorcycles come with AHO, this problem can be ignored. The rear view mirrors although are good, but, do not cover the world behind you very well. The motorcycle I own is BS3 model with carburetor but, even the new BS4 naked Gixxers do not come with FI. 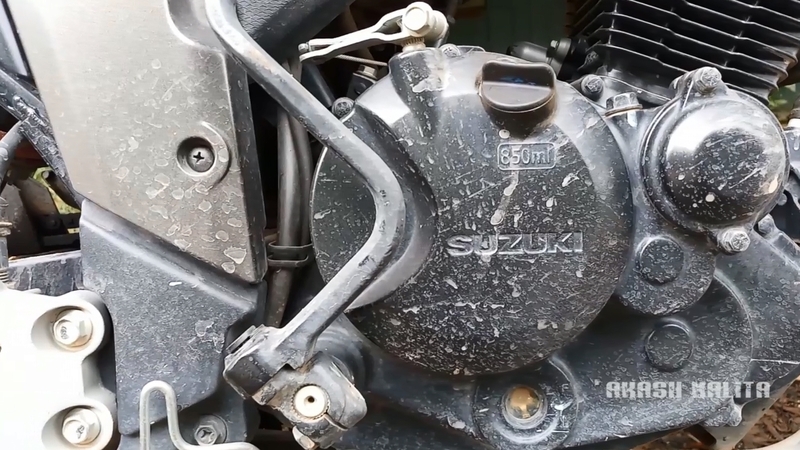 Suzuki has managed to deliver spot on performance from the 155cc engine that looks under powered on papers. The engine feels refined and there is almost no vibrations, accept little vibrations that can be felt on the foot pegs and the rear view mirrors at 7000rpm or more. The bike do not feel lazy and is always eager to catch some speed. Reaching a triple digit speed on this machine is not a problem. I have managed to clock a speed of 118kmph but, there are many videos and articles that claim top speeds way more than my personal best. But, at such high speed, the motorcycle feels very light so, I personally do not recommend you to ride it at such high speed. Moreover, the brand itself claims it to be a 'Street sport bike', which means, it is built to make street riding fun and not for track level performance. 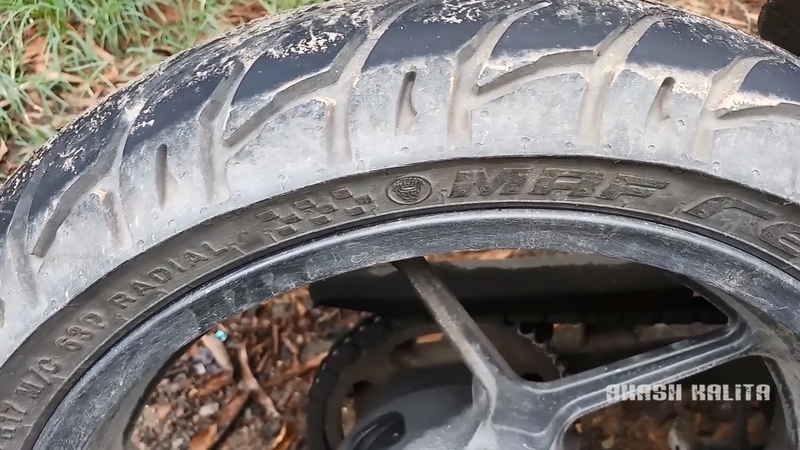 The tires offer good level of grip on the roads but, if you happen to hit the slippery stuff like mud or loose soil, the rear tends to move around a fair bit, which decreases your confidence. 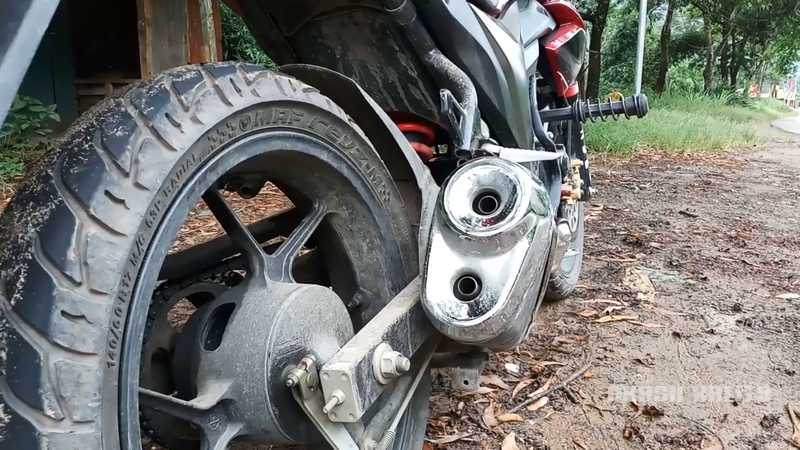 But, a set of aftermarket tires can easily solve this problem. 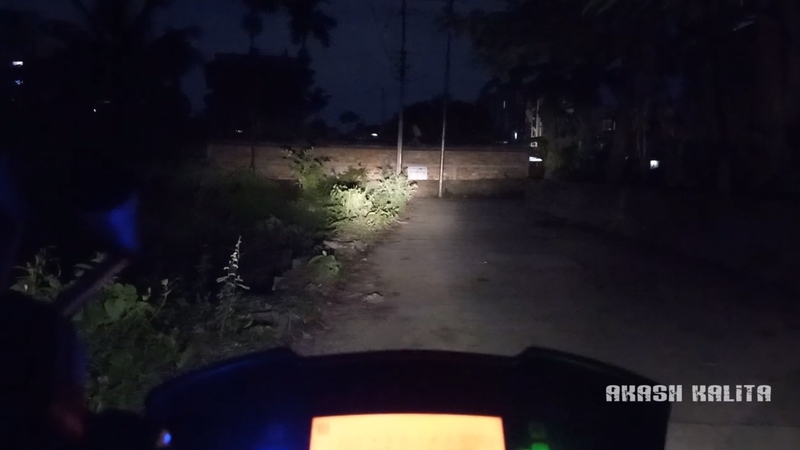 The headlight provides good illumination at night. Although, not a deal breaker but, could have been better because with a stock 3A battery, the possibility to install a more powerful bulb is also not there. Illumination at high beam, with Philips 35/35 watt halogen bulb installed. 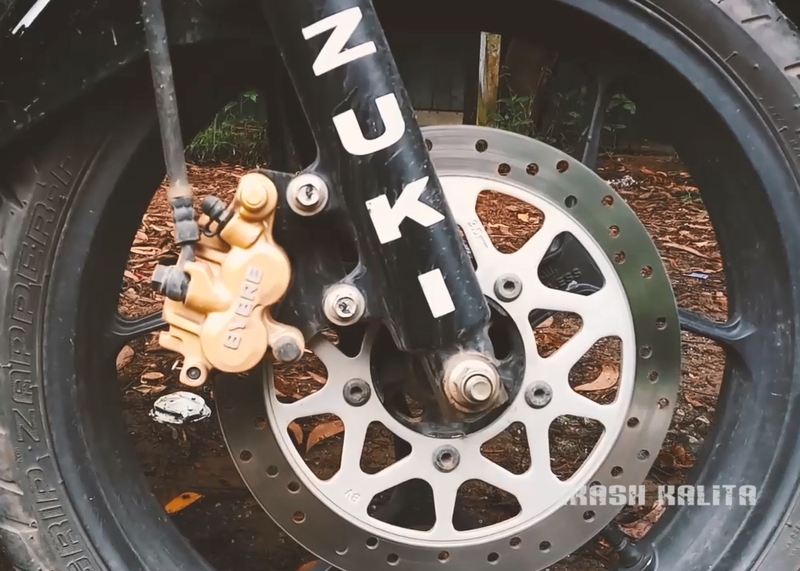 The brakes provide average level stopping power, but with the addition of a rear disc brake and ABS, the newer models should be offering better stopping power. Commenting about the stopping power of the newer models would be a difficult task, since, the model I own is a non-ABS model and have a drum brake at the rear, and also I did not have the luck yet to get my hands on a new model yet. The suspension works perfectly to provide comfort, and with a seven step adjustable rear mono-shock, you can adjust the pre-load according to your preference. One of the most things that is important while on a long motorcycle ride is the seat because if you do not have a good seat to spend your journey on, you would end up taking multiple stops. 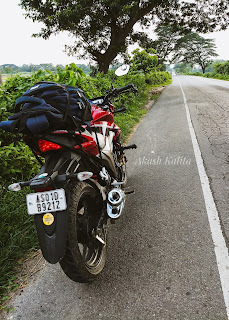 This is where it feels that the Gixxer is not made for longer rides because the padding on the seat is not very great and discomfort tends creep in if you happen to ride it more around 100 kms or more. Also, the pillion seat is very short, so carry a healthy pillion will result in lesser sitting space for you. 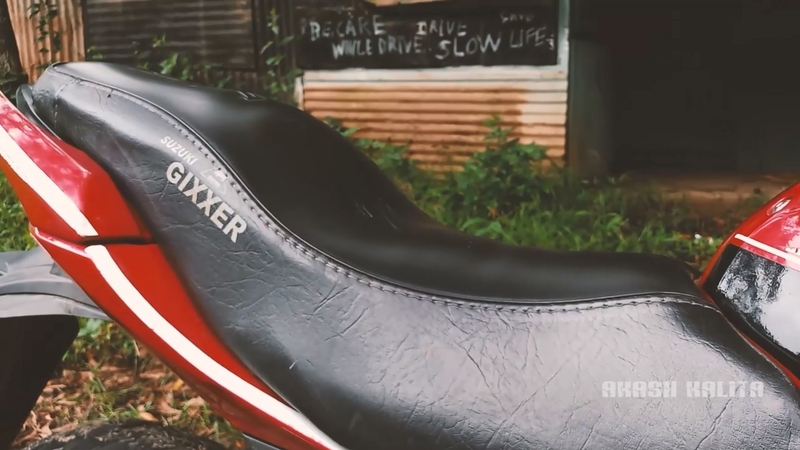 Although the seating arrangement could have been made better on the Gixxer but, nothing that can be considered as a major flaw. The instrument cluster is as informative as it can get. 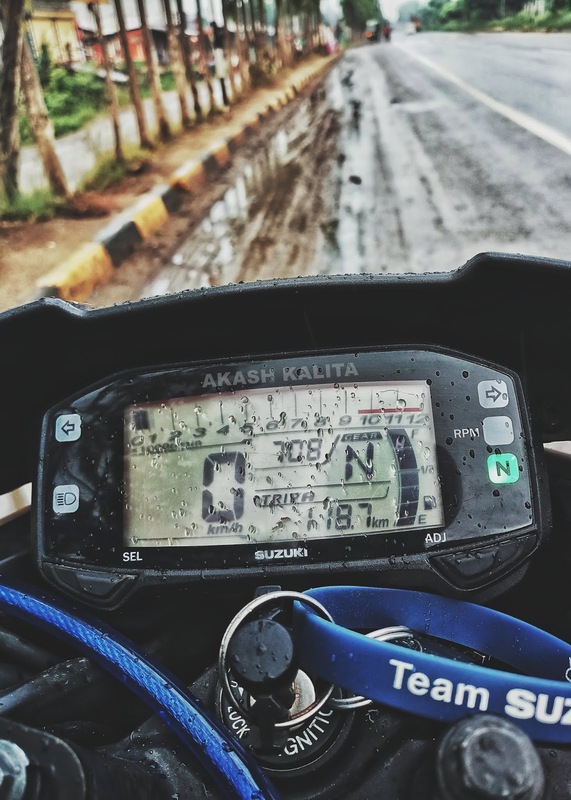 Along with the speedometer, it has an odometer, a gear position indicator, two trip meters, fuel gauge, RPM meter with adjustable shift light, and a clock. Almost more than one can ask for. No matter how good a motorcycle is, it can only be considered as good as it is light on your pockets. And the Gixxer does not disappoint here either. 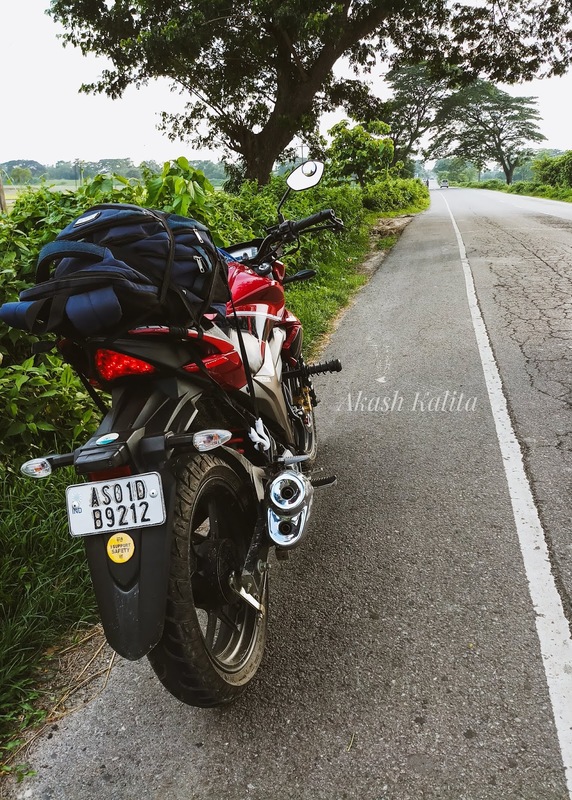 If you ride it hard enough, or in a bumper to bumper traffic, you still manage to claim a mileage of 45kmpl. 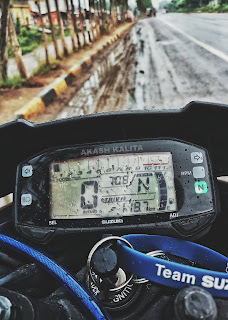 And on free roads, or if you are riding it economically, you can achieve a mileage as high as 54kmpl. 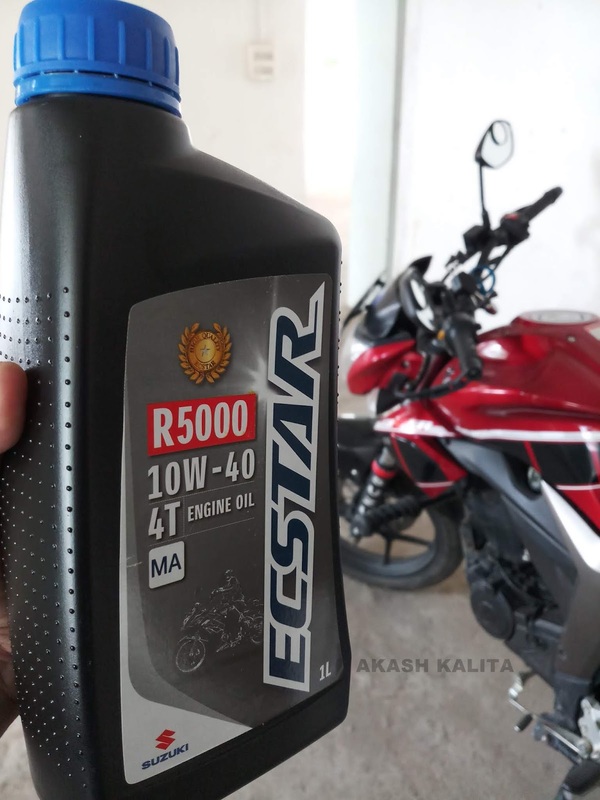 The Ecstar engine oil that is recommended for Suzuki two wheelers, cost approximately INR 300. 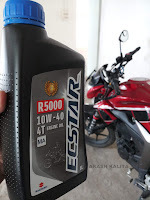 Even the air filter and oil filter cost approximately INR 100 each. And even after riding for 16,600km+ distance, the chain and sprokets seem to be in good condition and no component of the bike will require to be change any time sooner. So, the Gixxer is a pretty economic to maintain either. 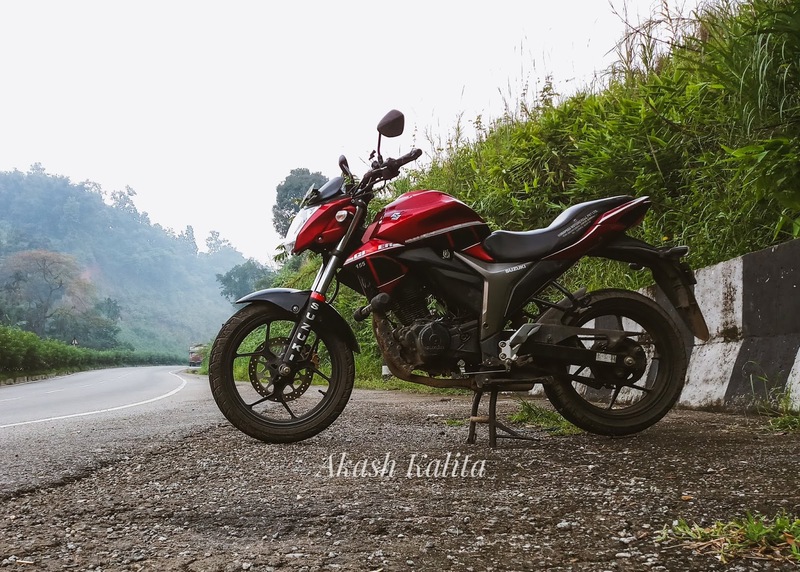 Lastly, it would be safe to conclude that, if you want a bike in the 150cc commuter category, that is fun to ride and still light on your pockets, then, the Gixxer might be a great bike for you.